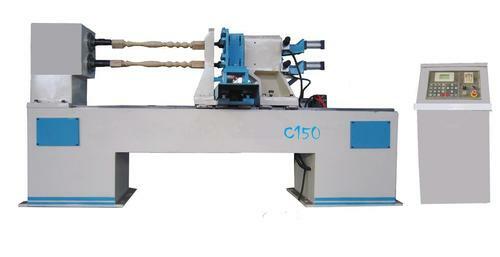 CNC Wood Lathe 2 Axis Service Description and Specifications. A computer numerical controlled CNC wood lathe 2 Axis is a device that can create items such as stairway posts, designs on wood, and more. It can also cut, trim and sand those items as well. Originally all lathes were used by two people. However the lathe, as we see it today has evolved into a much more modern machine which can be operated by one person. A CNC wood lathe is operated by a computer which is controlled by the user. The use of computers on a lathe machine offers a wide range of benefits and features, while improving functionality.